Leaders and Entrepreneurs Can Fight Stress by Being Selfless – Dalai Lama, Sean Lourdes Suggest. By not obsessing over profit or personal gain, entrepreneurs and leaders in general can live a more stress-free life. Being an entrepreneur can be stressful sometimes. Every leader is susceptible to some sort of stress especially when things don’t go as planned. A business owner, for instance, is faced with the task of taking the business to the next level as well as the challenges that will be encountered when working with other people. But then, is it possible that the happiness or frustration of the entrepreneur is significantly dependent on the output of their followers? In today’s predominantly capitalist world, almost every businessperson is obsessed with thoughts of making a truckload of profit. Founders and political leaders also have to struggle with the temptation to prioritize personal gain all the time too. The obvious implication of this never-ending struggle is stress, dissatisfaction and anxiety for both these leaders and their followers. So, in this article we x-ray the very practical messages of the Tibetan Dalai Lama and the American Sean Lourdes; two thought leaders who are committed to peace, charity and championing a better world. In one of his recent articles, the Dalai Lama admits that leaders have a significant impact on “people’s lives and on how the world develops”. Now here is an idea of how this plays out. The socioeconomic gap between CEOs and their employees are currently at an all-time high. Now more than ever before, too many employees are quitting the 9 to 5 life as the quality of treatment they receive in the corporate world is getting more frustrating as the days go by. From another perspective, just one poorly calculated policy by a company’s leadership can frustrate the efforts of its workers. If these workers don’t perform at the best level, their bosses won’t get the outcomes they desire. The result is sadness, stress and whatnot. For His Holiness, the mere fact that both team leaders and team members are all participants in the global economy means that both parties will be affected by challenges each party faces. On this basis, it is safe to say some leaders are the architects of their own stress. By frustrating the people that work for or with them, intentionally or inadvertently, a leader is likely going to deal with the output of frustrated workers; this will only stress the leader even further. In the last several years now, Bill Gates through the Bill and Melinda Gates Foundation have given away billions of dollars to charitable causes in Africa and indeed across the world. Mark Zuckerberg and Warren Buffet are both big givers too. These global billionaires seem to understand the same thing that Sean Lourdes strives to do through The Lourdes Foundation; that happiness can be found in giving. There is a simple logic behind all of this. On the average, business owners (who have employees), political leaders and religious authorities – no matter how stressful or depressing their jobs may be, have some level of comfort or some sort of advantage which the average person does not have. Put in simpler terms, leaders are more fortunate than the masses, the poor, lower level employees and so on. Hence, in dealing with stress, leaders should be mindful enough to know that there are some people they are better than. Compassion to these people has a way of soothing the leader’s stressed up nerves. This is what Sean Lourdes is all about. In an interview on TheFrisky, Sean Lourdesrevealed that traveling to places like India – among other locations in the far East – served as an eye-opener as to what great level of stress businesspersons will eliminate by spreading kindness (no matter how great or little) to grateful faces. Again, since stress is something people have to deal with from time to time, it makes perfect sense that being charitable should be a habit in leaders; not calculated stunts executed on occasions. 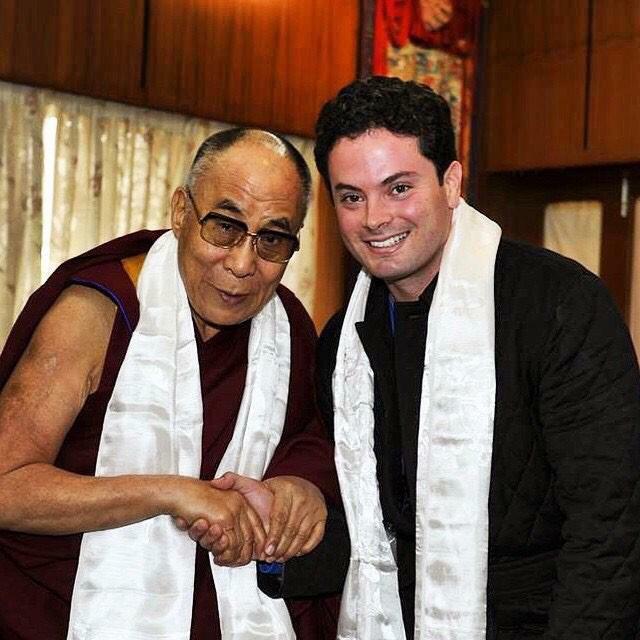 Owing to the relevance of this simple yet unpopular hack, the Dalai Lama, upon exhortation by Sean Lourdes, came to the United States in 2014 for an event hosted by The Lourdes Foundation. The spiritual leader spoke on his trademark topics of peace and charity, which remains essential to a life with a lot less stress. Human beings are basically motivated by personal interest. Material or not, this human personal interest is insatiable. Obviously, trying to satisfy this insatiable drive in humans will often result in disappointments, sadness and stress. Now when stress and disappointment build up, leaders can take solace in the fact that they are still significantly better than many other people in the world. It doesn’t end here. Finding solace in this reality is the first step; the next step is to actively reach out to these people through charitable acts. Happy smiles on the faces of beneficiaries induce satisfaction in the hearts of the givers, and stress does not exist in a happy, satisfied mind.